The austrian Jazz guitar player Wolfgang Pointner was born 1966 in Salzburg/Austria, after studies in munich/germany he went to New York to studie with jazz guitar legend Attila Zoller and to vienna to study and play with Karl Ratzer. Wolfgang Pointner played with some of the great players like Randy Brecker, Bob Mintzer, Bobby Shew and Attila Zoller, to name a few. He played with his own trio with guests like Ingried Jensen, Lee Harper and Allen Praskin, tourt Japan twice (with the Okoun Ensemble) and played in countrys like Poland, Hungary, Italy, USA, Germany and Austria. 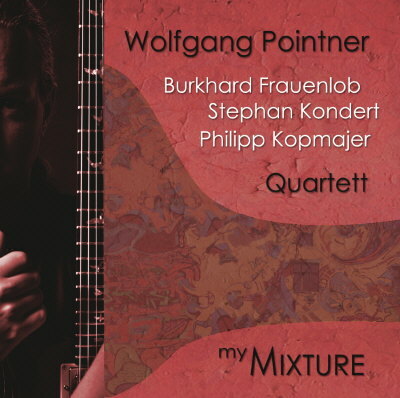 Wolfgang Pointner is also known as one of austrias great Jazz Guitar teachers and is often invited to Guitar festivals and Jazz workshops in germany and Italy. With his Trio he made his first record in 1998 ("Trinity"), his new record "MyMixture" (recorded 2007) with his new quartet is a mixture of all music styles that he came accross in 25 years of playing live, the 11 originals ranging from Rock to Fusion, from Samba to Country & Western to Pop styled Ballads, everything with that touch of a Jazz player who startet with Wes Montgomery and George Benson, glued together to an entertaining band sound, virtuosity mixed with a deep blues feeling.